Monarch Air Group provides private air charter in Sterling Heights, MI. Our clients benefit from top-notch service, unrelenting dedication to safety, wide selection of aircraft, and years of experience in chartering private jets. To obtain a free quote, please use our online quoting tool provided below, or call toll free 1-877-281-3051. Monarch Air Group provides private jet charter flights in and out of Sterling Heights, Michigan, USA. Sterling Heights is a city in southeastern Michigan, north of Detroit. With a population of about 129,699 people, Sterling Heights is the 4th largest city in Michigan, and the 2nd largest suburb in Metro Detroit. The total area is 36.80 square miles. The nearest airports are Windsor Airport (YQG / CYQG), which is located 35 miles from the city, Detroit Metropolitan Wayne County Airport (DTW / KDTW), which is located 41 miles from Sterling Heights, Bishop International Airport (FNT / KFNT), which is situated 54 miles from the city, and Sarnia Airport (YZR / CYZR), which is situated 56 miles from Sterling Heights. 1. 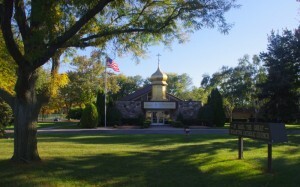 ARB, Municipal, Ann Arbor, MI, United States. 2. DEO, Hyatt Regency H/P, Dearborn, United States. 3. DET, Detroit City, Detroit, United States. 4. DTR, Decatur Island, Decatur Island, United States. 5. DTW, Detroit Metropolitan Wayne County, Detroit, MI, United States. 6. FNT, Bishop International Airport, Flint, United States. 7. PHN, St Clair County Intl, Port Huron, United States. 8. PTK, Pontiac, Pontiac, United States. 9. XCM, Chatham, Chatham, Canada. 10. YIP, Willow Run, Detroit, MI, United States. 11. YQG, Windsor, Windsor, Canada. 12. YZR, Sarnia, Sarnia, Canada.